Following a second intense day of football at BWB’s home venue, Rayo Vallecano emerged as champions of the inaugural Bath International Cup sponsored by the Premier League. With each of the sides in the Champions League beating each other, it was eventually the Spanish team who totalled with the most points just ahead of Chelsea and Everton who both finished 1 point behind. The clashes between the sides were tense and the margins small, which made for great entertainment all round. Indeed, the players had a fantastic opportunity to play against different styles of opposition, and the Spanish leave tomorrow having impressed many who watched. In the Europa League, it once again came down to the last game where BWB faced Erdington & Saltley for the title. Unfortunately for the homeside, E & S had too much pace and power and the hopes of a home win were dashed and the smurfs had to settle for 2nd in the group. 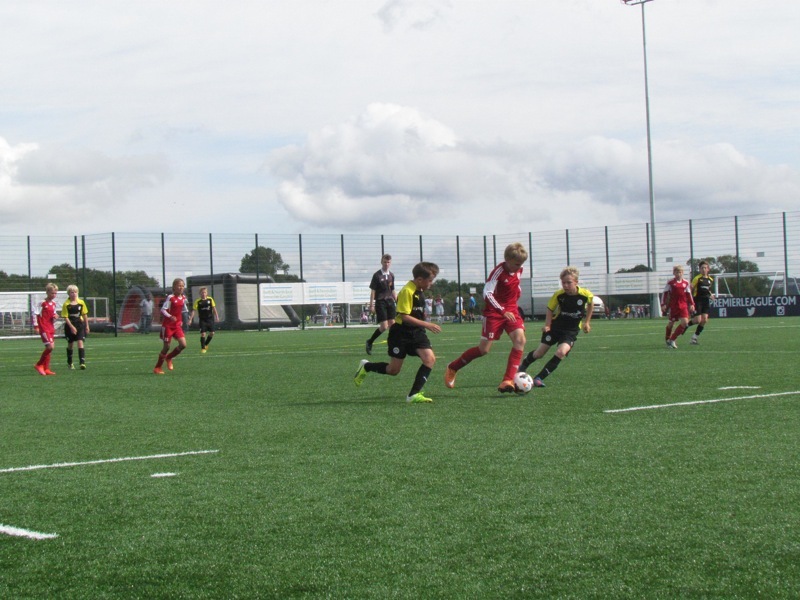 In all, it was a super weekend which demonstrated the benefits of Academies, District sides and international teams having the platform to perform together to practise and consolidate their learning. Same again next year! ← International Bath Cup Begins!